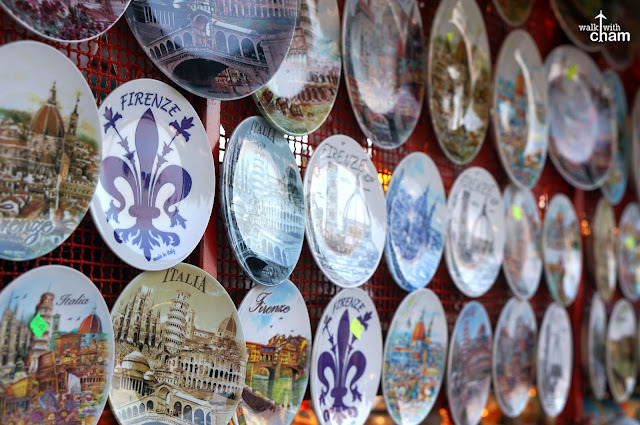 The city of the Renaissance, Florence is one of Europe's greatest art cities. 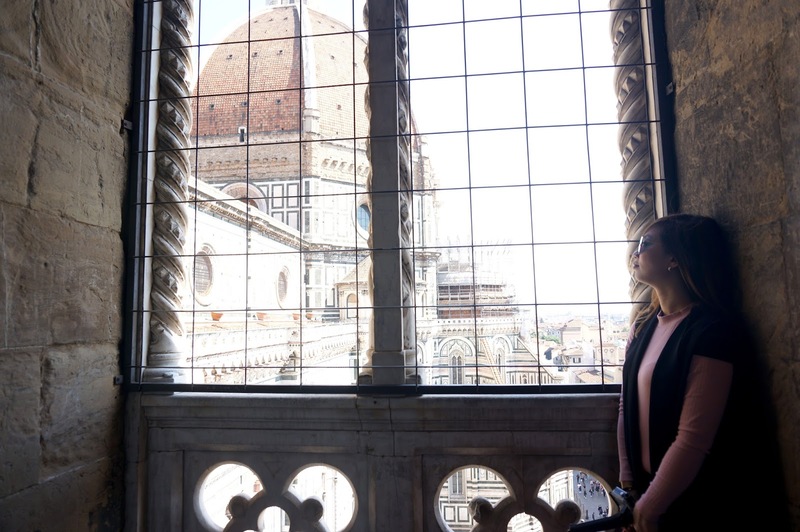 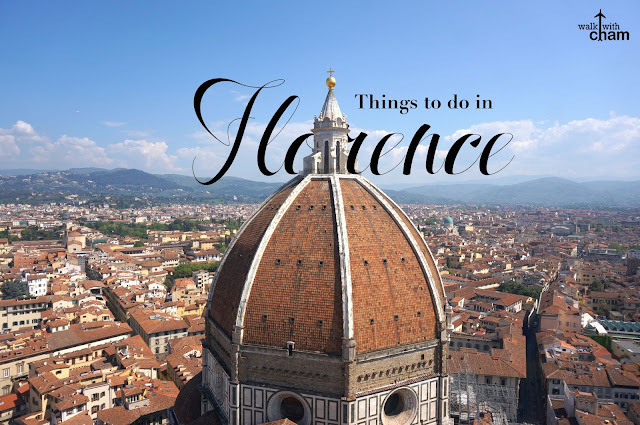 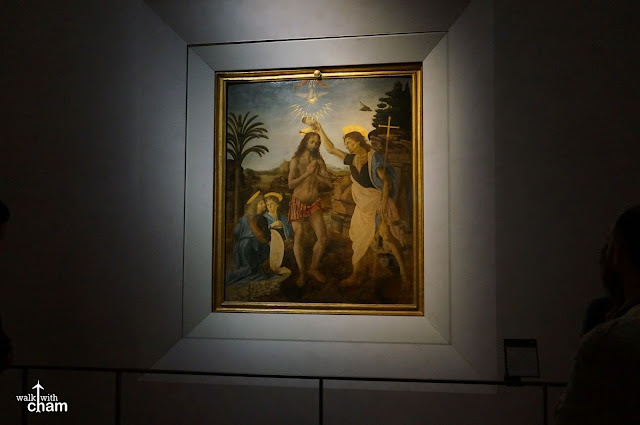 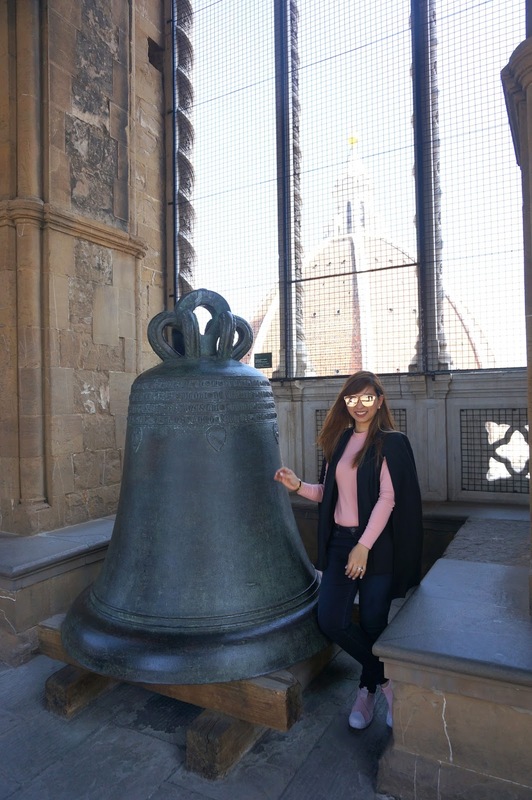 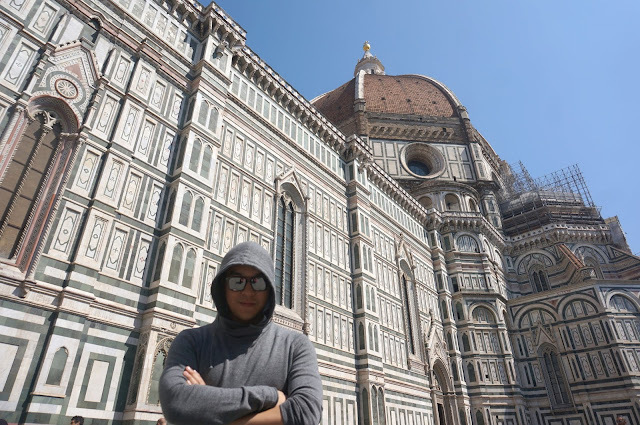 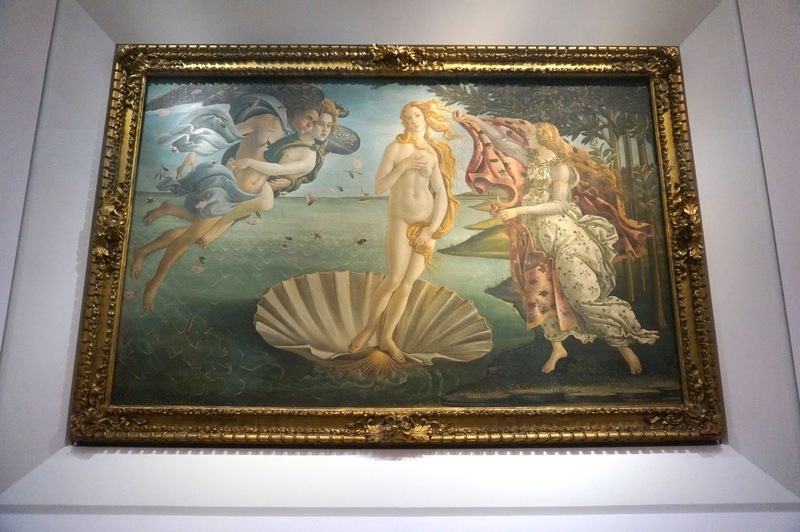 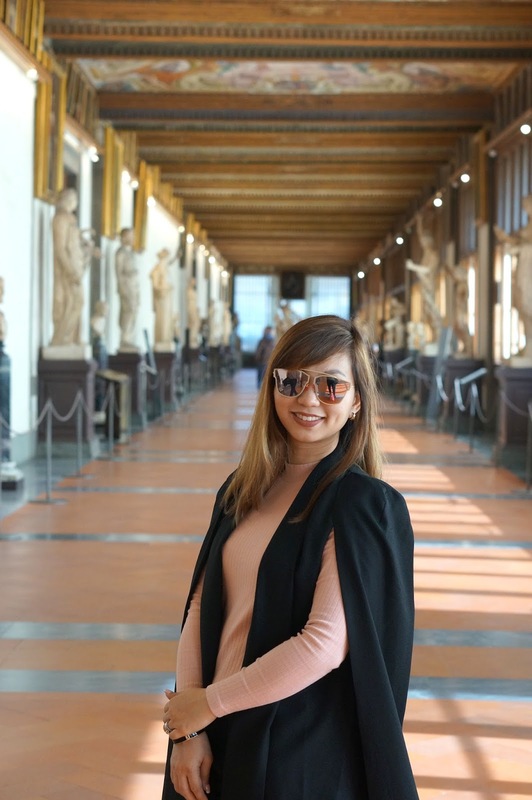 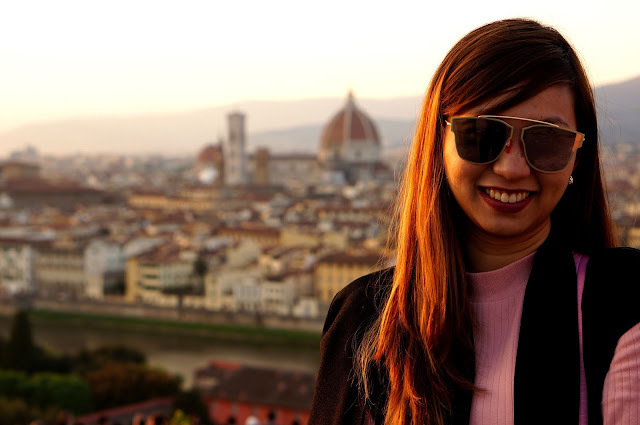 From the art works displayed at the Uffizi Gallery and Galleria dell'Accademia to the exquisite architecture of Duomo and its neighboring houses of red brick roofs. 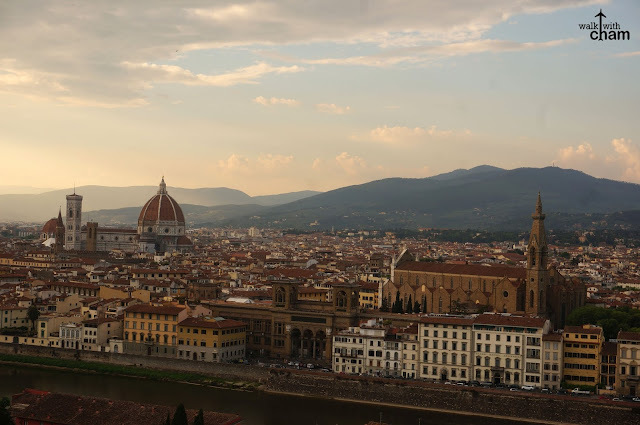 Visiting this city would make you feel as if you've traveled back in time. 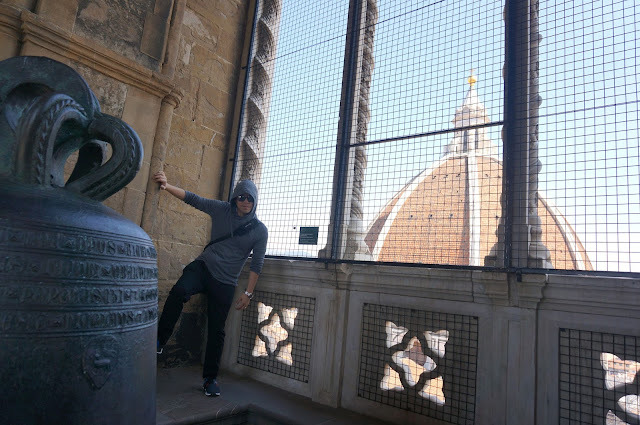 Mike and I together with good friends, Neal and April, went on a 1 full day adventure in Florence - enjoying museums, climbing the Giotto Campanile, eating Italian cuisine and gelato, and shopping for genuine Italian leather plus Mike role playing as an assassin parkouring around the city. 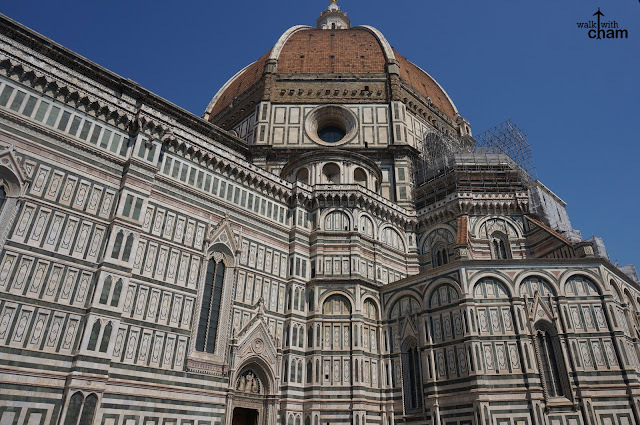 The Duomo Cathedral or the Cathedral of Santa Maria del Fiore is the main church of Florence, Italy. 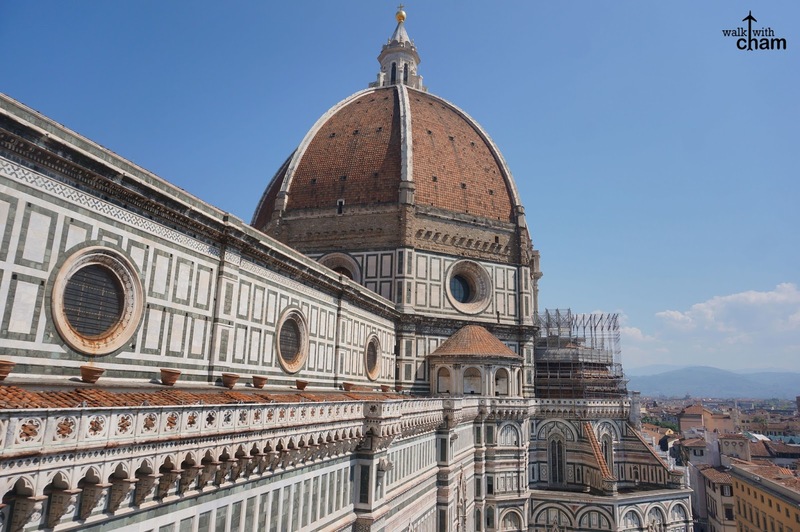 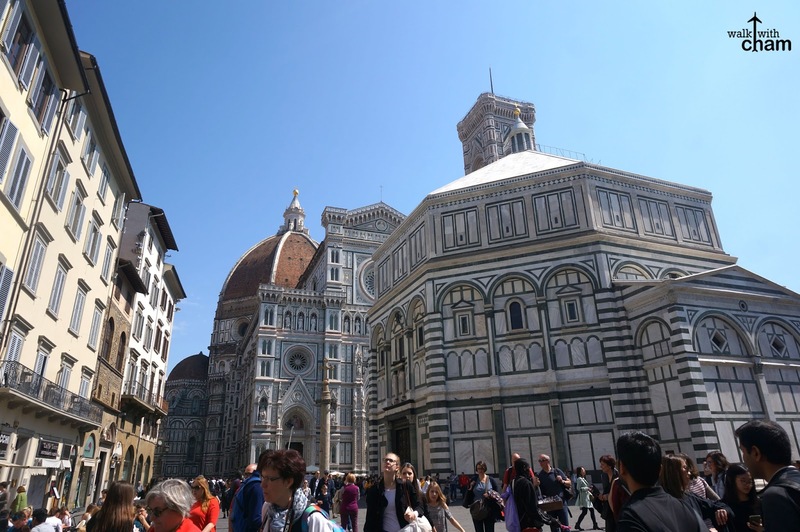 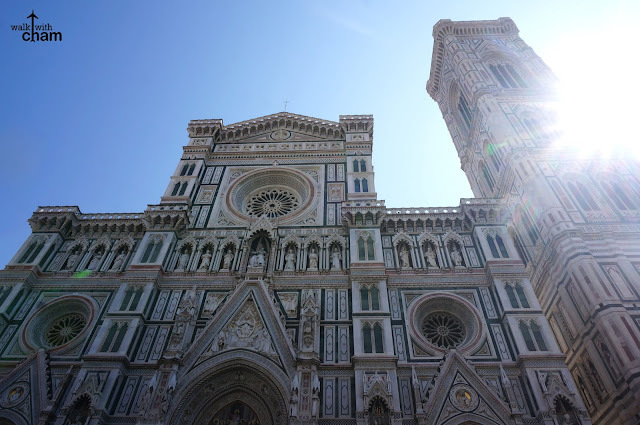 The cathedral complex is part of UNESCO World Heritage Site making it a major tourist attraction in Florence. It is one of Italy's largest cathedral and it remains to be the largest brick dome ever constructed. 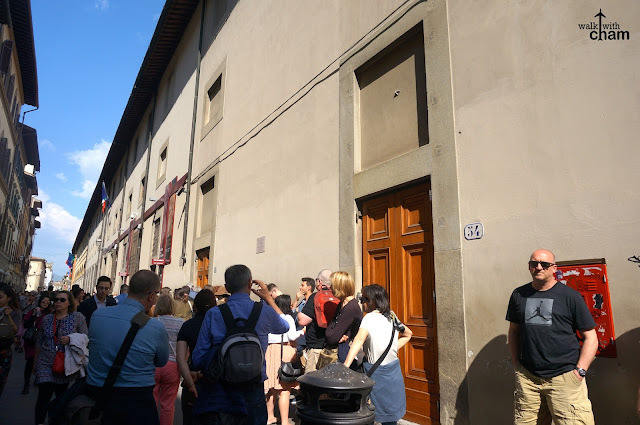 A short walk from Florence main train station SM Novella. 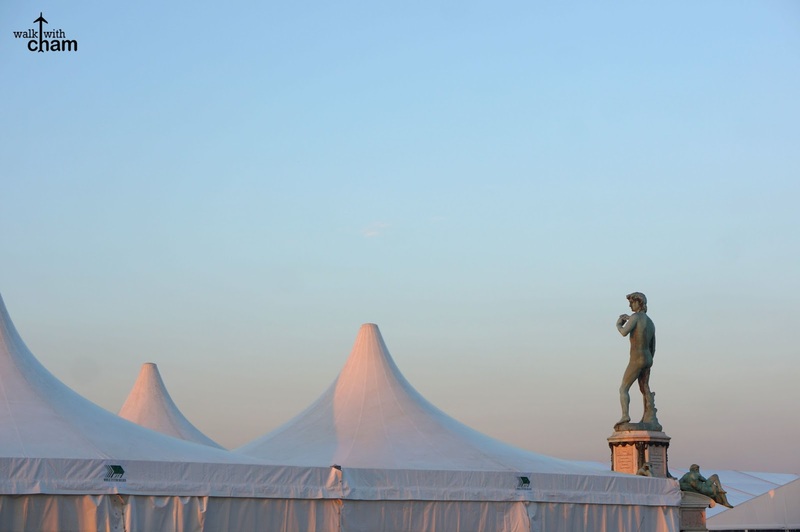 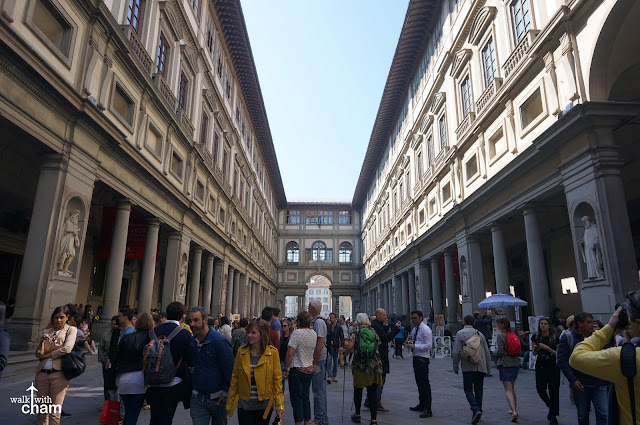 You will be walking around the vicinity because the piazza is exclusive for pedestrians only. 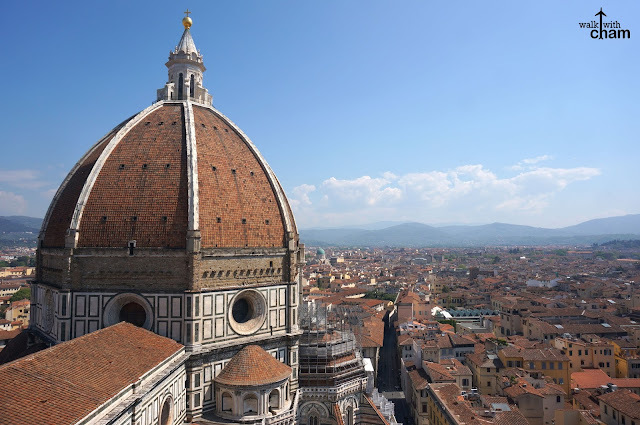 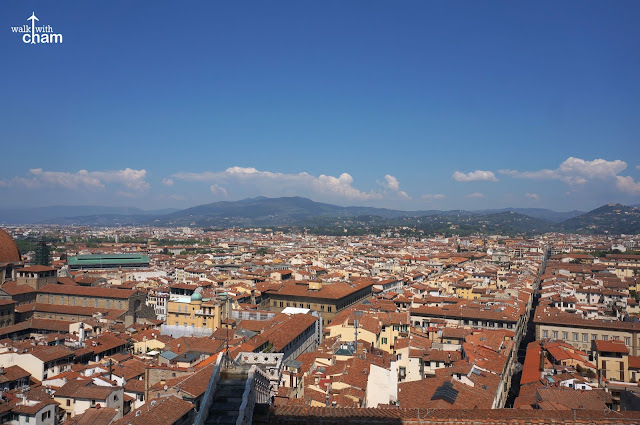 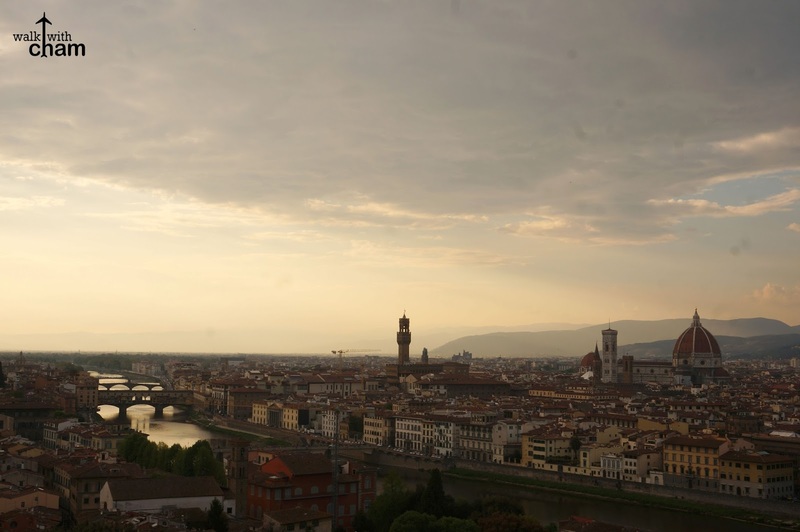 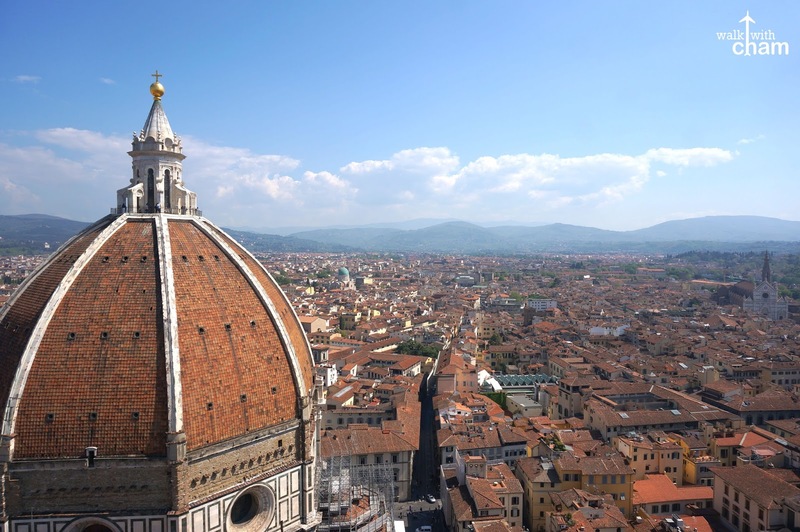 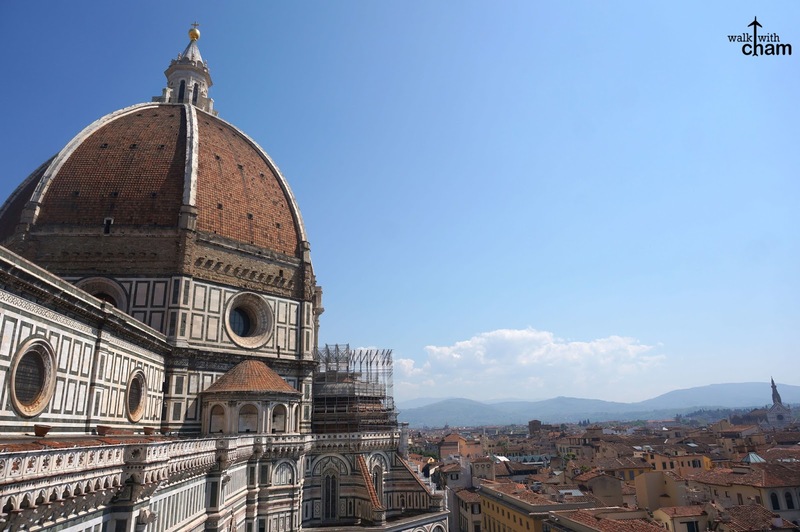 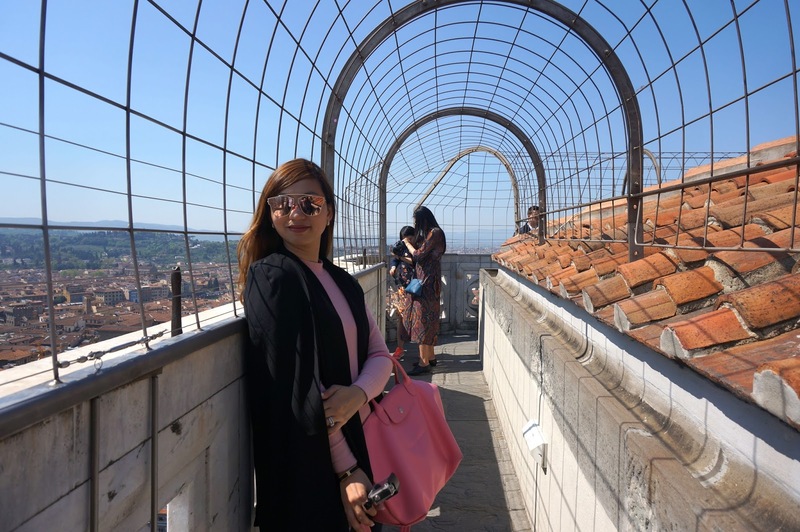 If you want a magnificent panoramic view of Florence, the best way is to climb the Giotto tower. 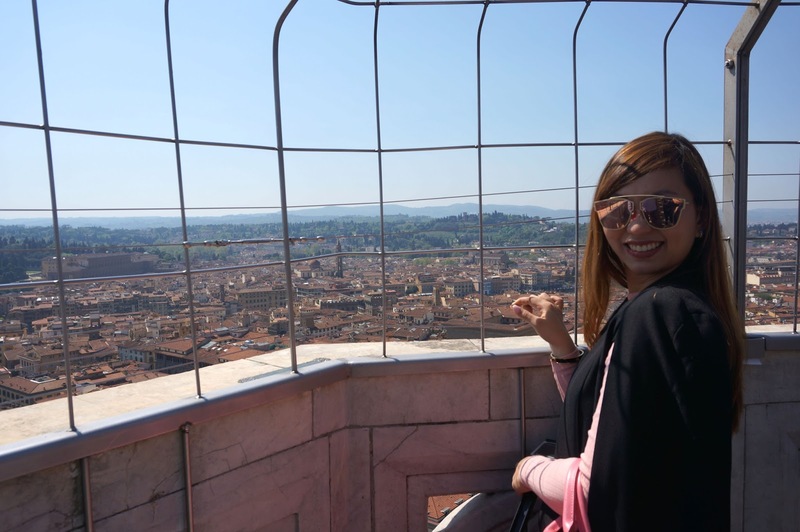 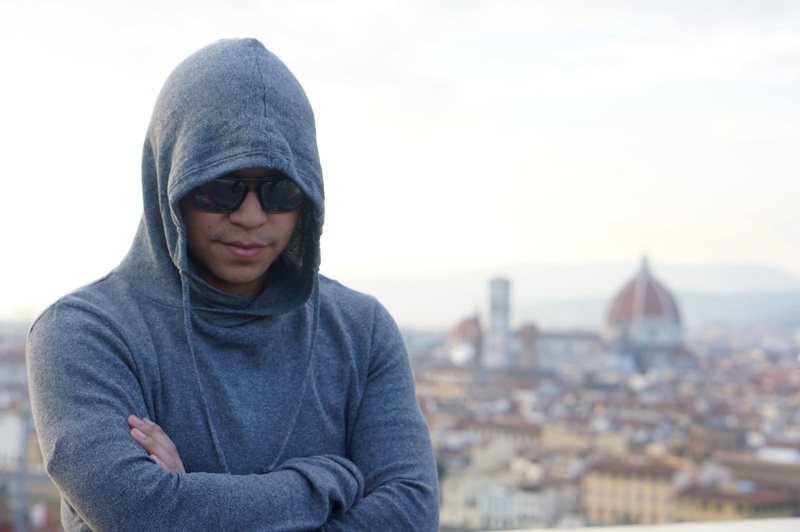 Here you can see a stunning view of the city with the best angle of Duomo. 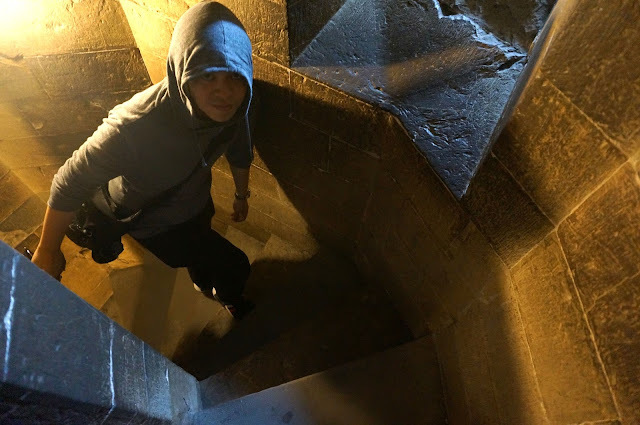 You have to climb 414 step though (yes climb, no elevators available!) but the view is worth it! You have to take note that the line for the ticket can get very long so it is advisable to purchase online HERE. 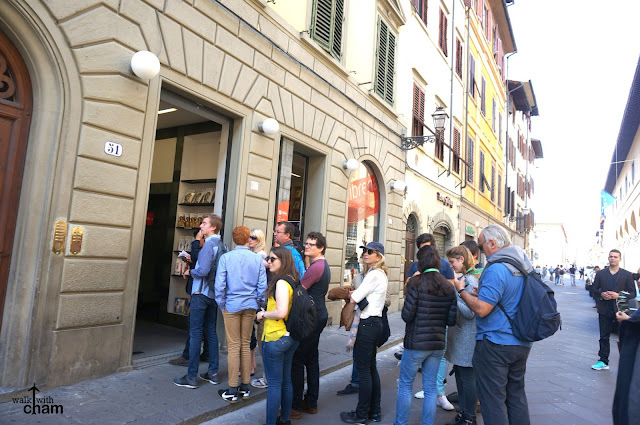 We weren't able to purchase in advance so we had to wait in line for 45 minutes. 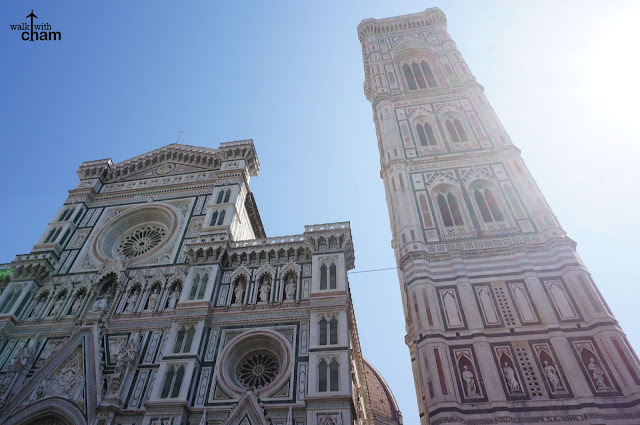 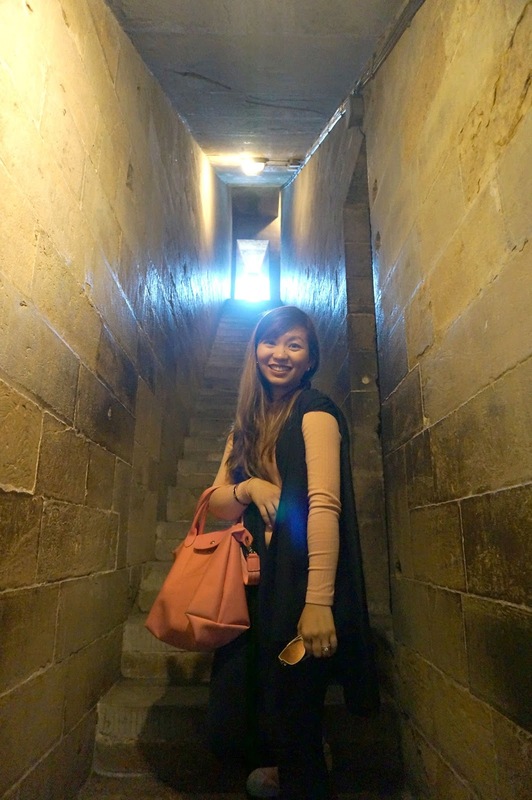 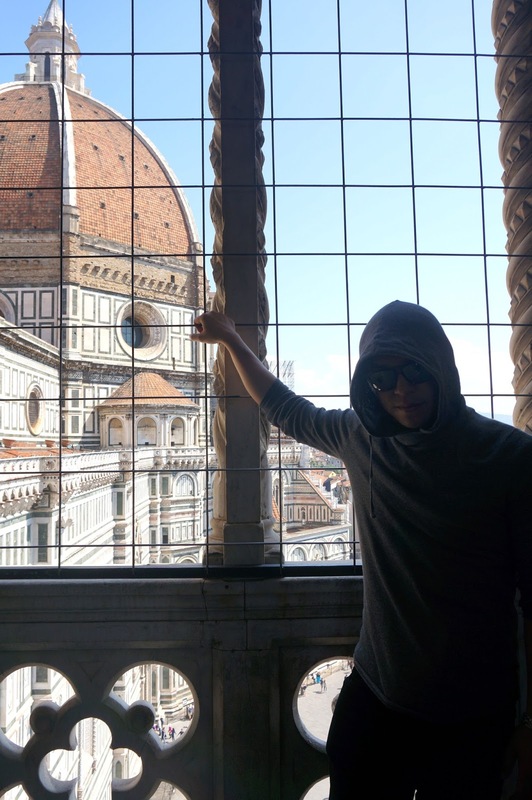 Because we were only interested in going up the Campanile, we didn't visit all the other areas in the Duomo Cathedral. 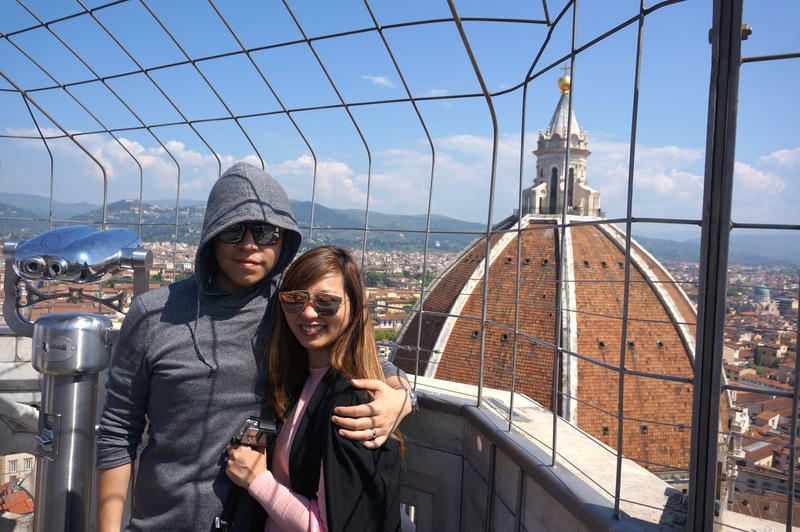 Red bricked roofs, it was such a beauty! The Uffizi Gallery is said to be one of the most important and largest museums in Italy. 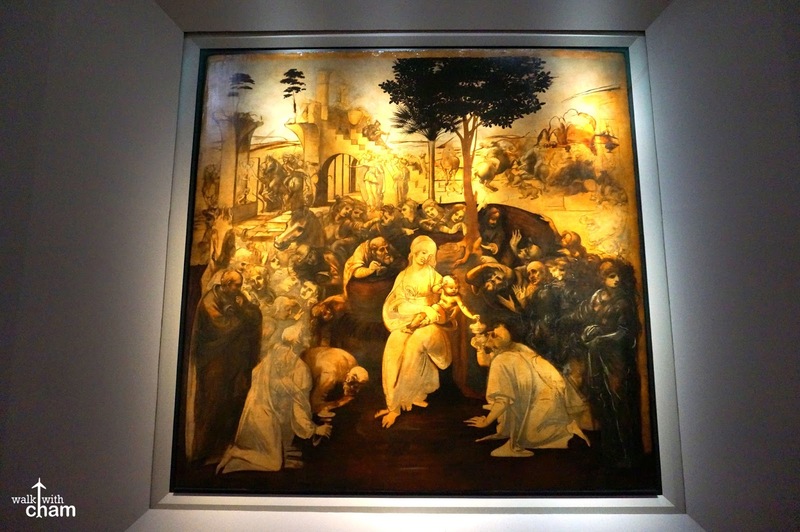 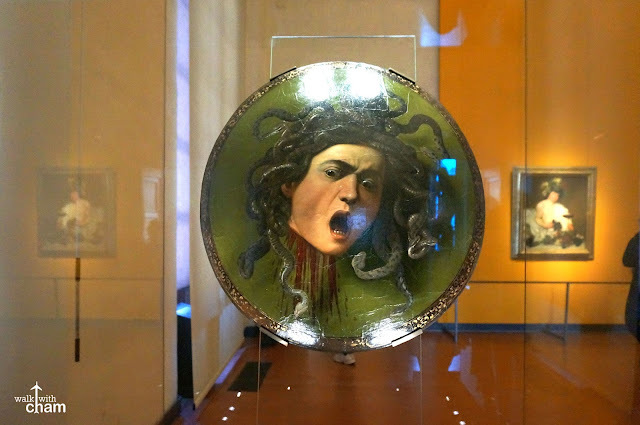 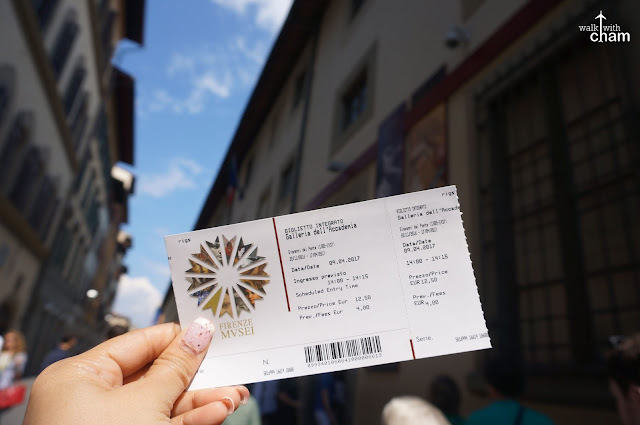 It is also the most visited museum in the country which holds priceless collections from Italian renaissance artists. So it is a must that we should visit this museum. 10 minute walk from SM Novella Station. 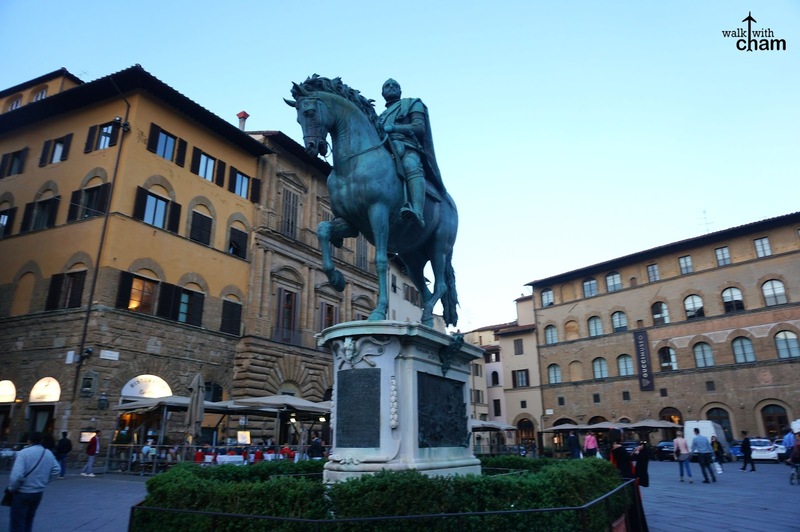 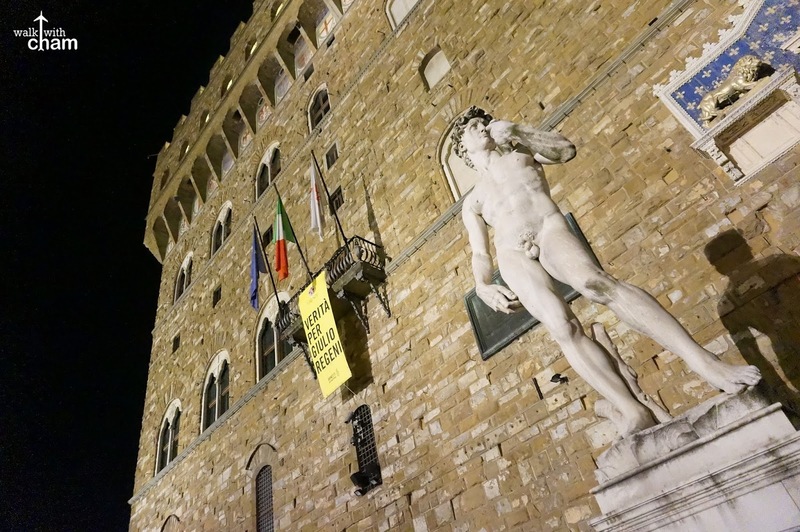 Located at the heart of Florence just right next to Piazza della Signoria and Palazzo Vecchio. 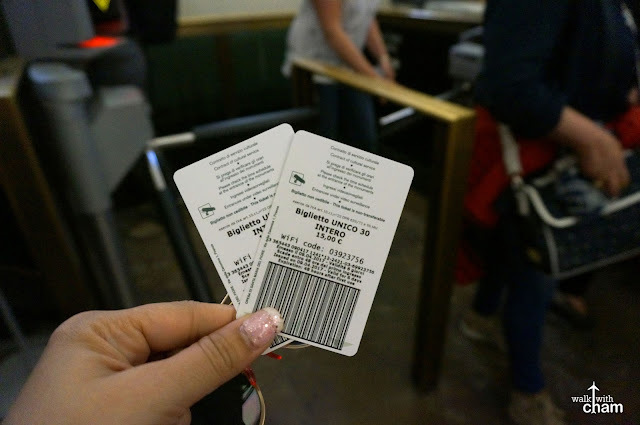 We got our tickets in a jiffy! 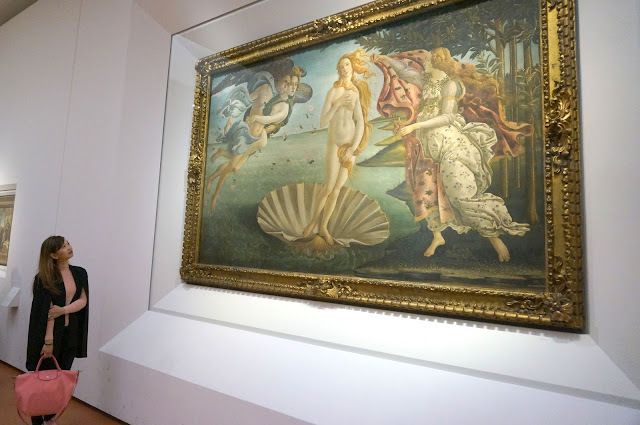 Still can't believe I saw the real thing! 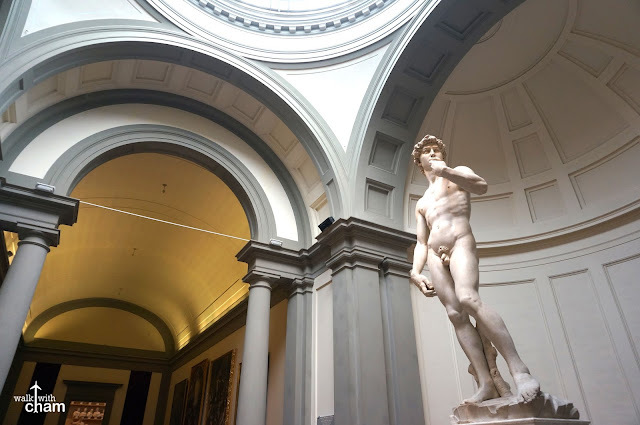 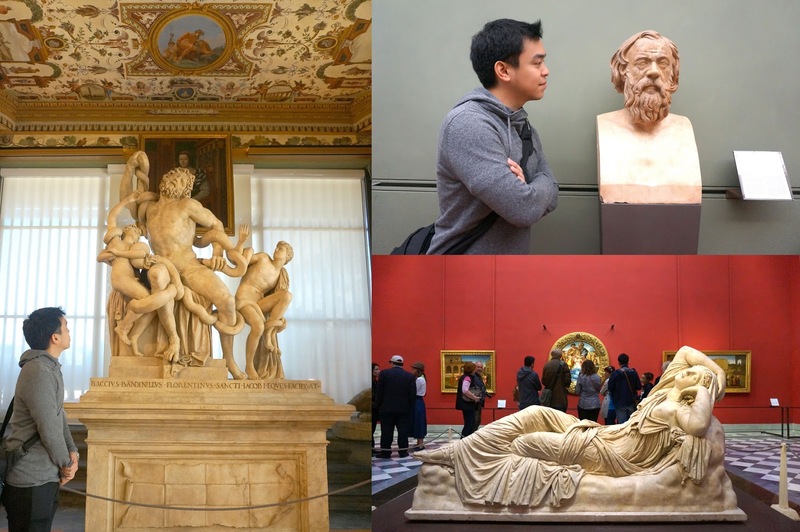 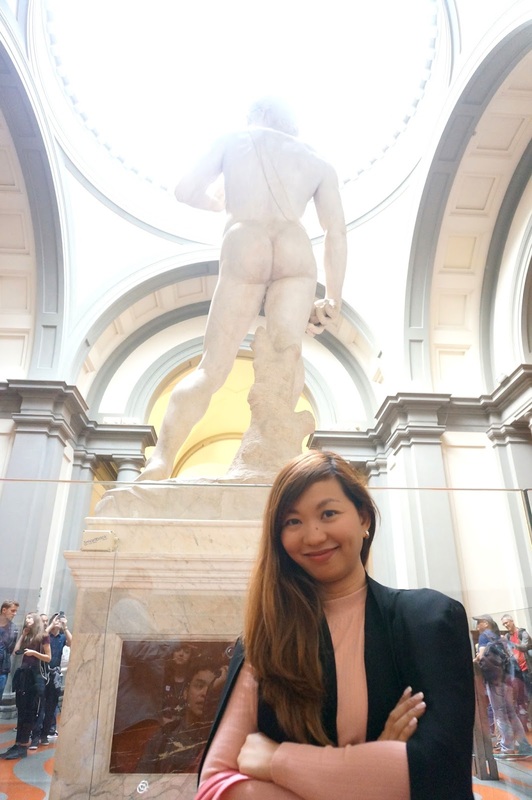 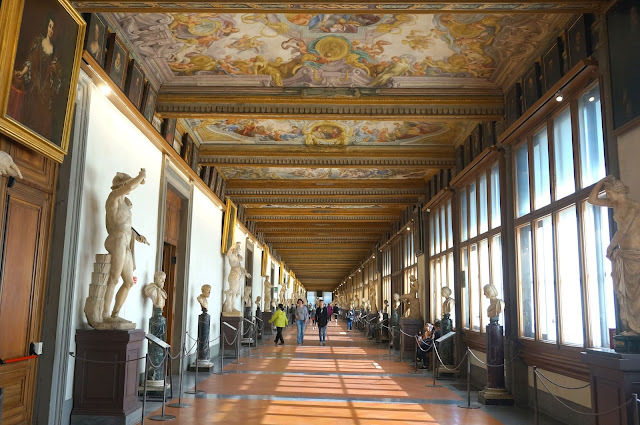 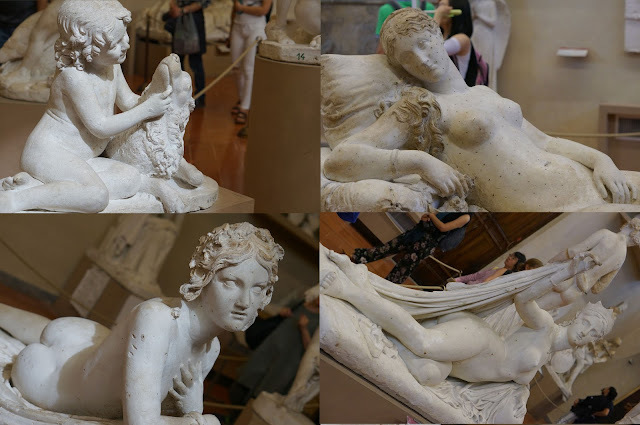 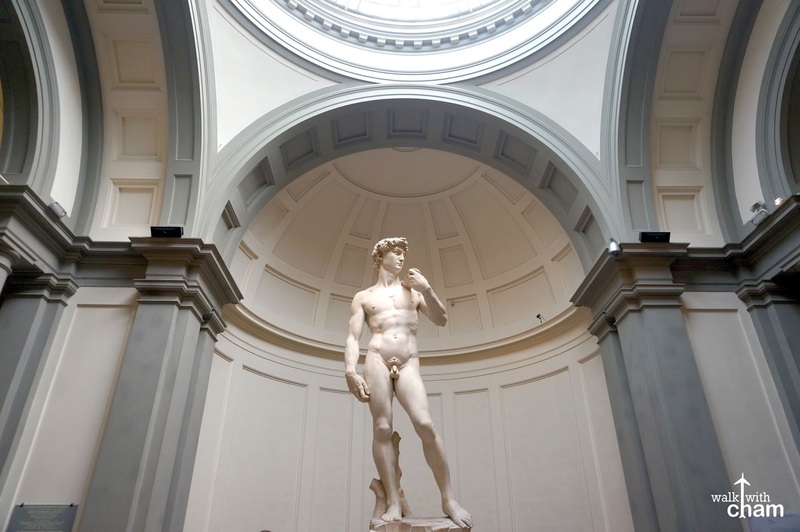 Galleria dell'Accademia is also an art gallery in Florence best known as the home of Michelangelo's David. 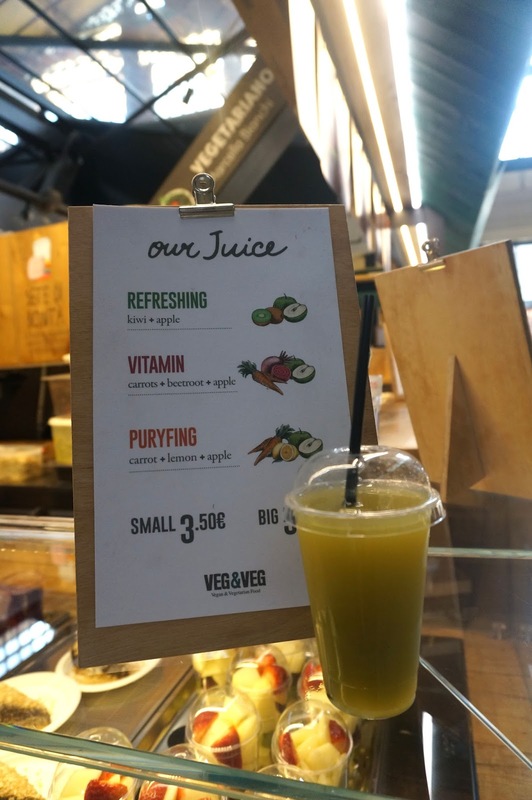 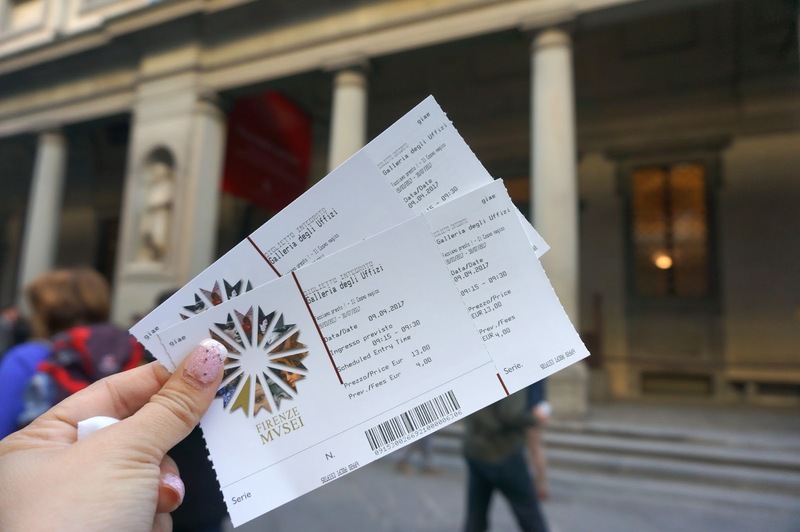 € 16.60 | Skip the long line and book online HERE like what we did. 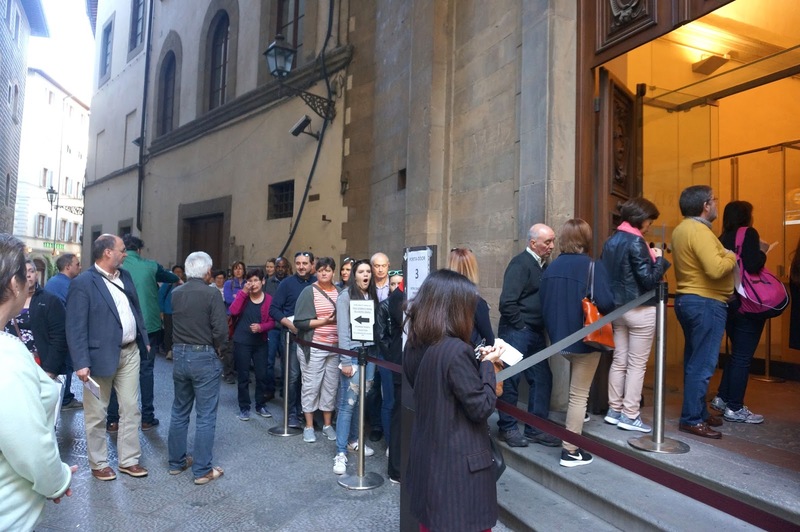 There is a separate queue for online purchase to exchange the print out to an official ticket. You also have to be there 20 mins before the actual time. 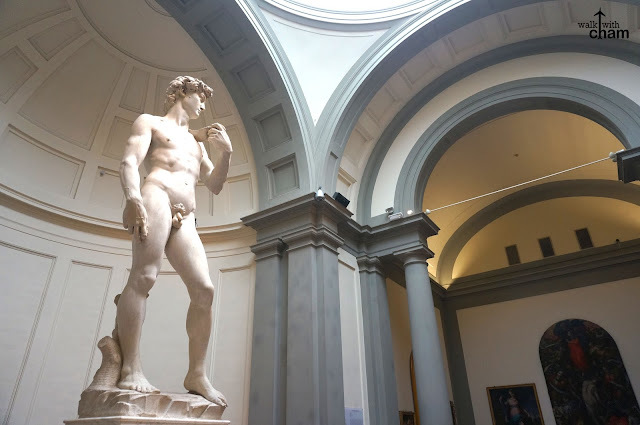 Our only purpose here is to see the marvelous sculpture of David, we did some snapshots and did a little roaming before we left. 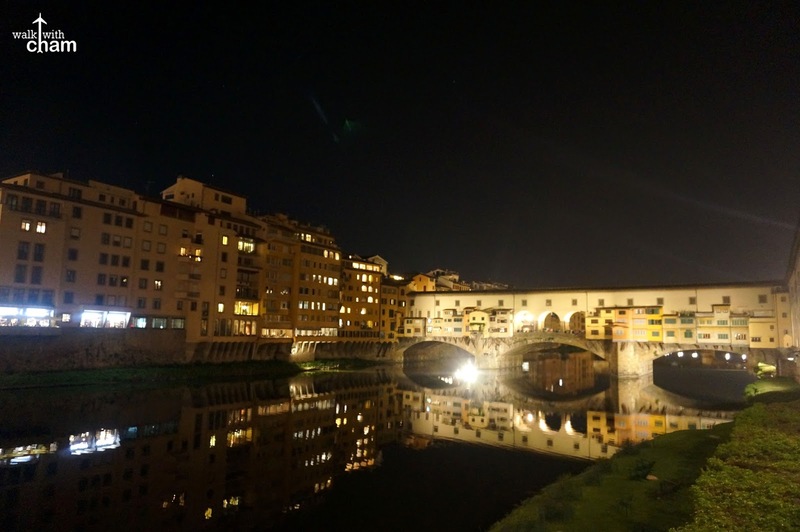 Ponte Vecchio which means old bridge is a medieval stone bridge over the Arno River. It is the very first bridge ever constructed and now a pedestrian zone area with numerous shops along the stretch. About 20 minutes stroll from SM Novella Station. 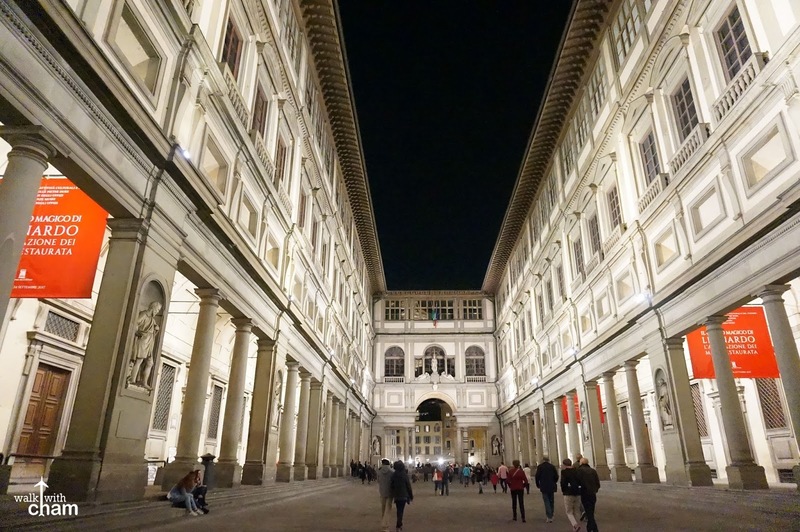 It is close to Uffizi Gallery. 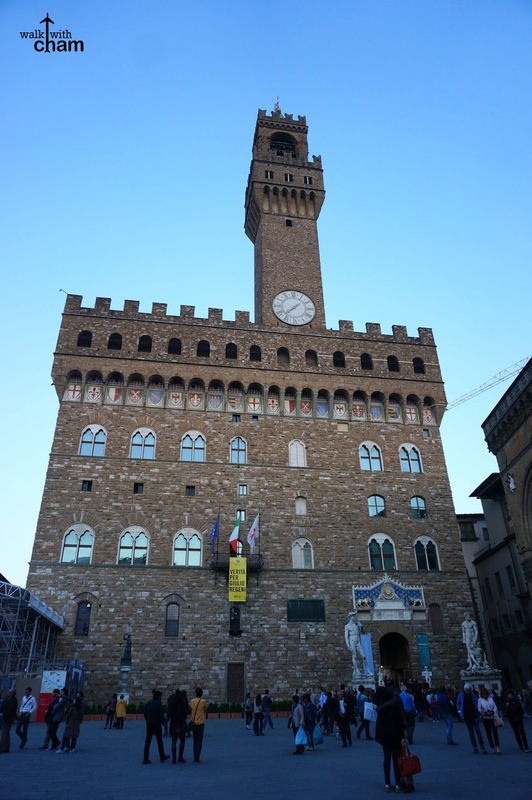 Is a square right next to the Uffizi Gallery and where the Palazzo Vecchio, Florence town hall is located. 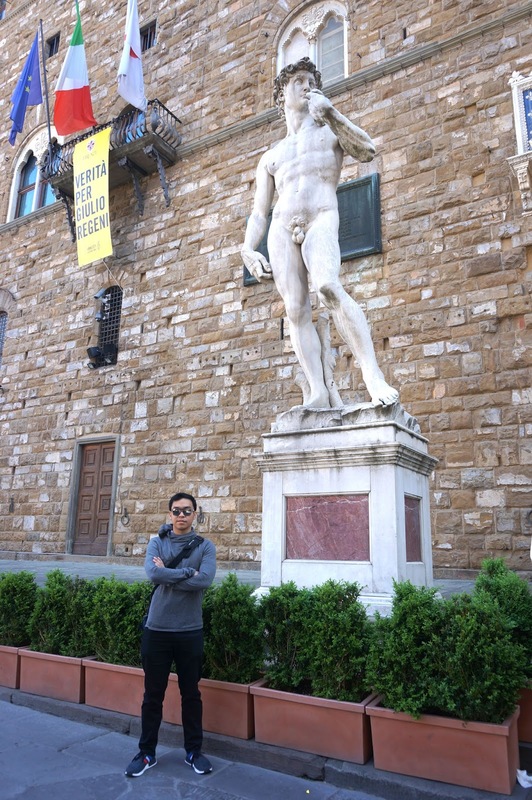 It has several restaurants and shops, you can also see here copy of prominent statues. 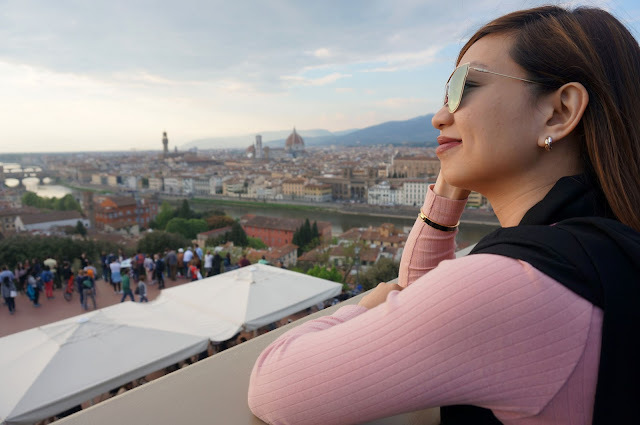 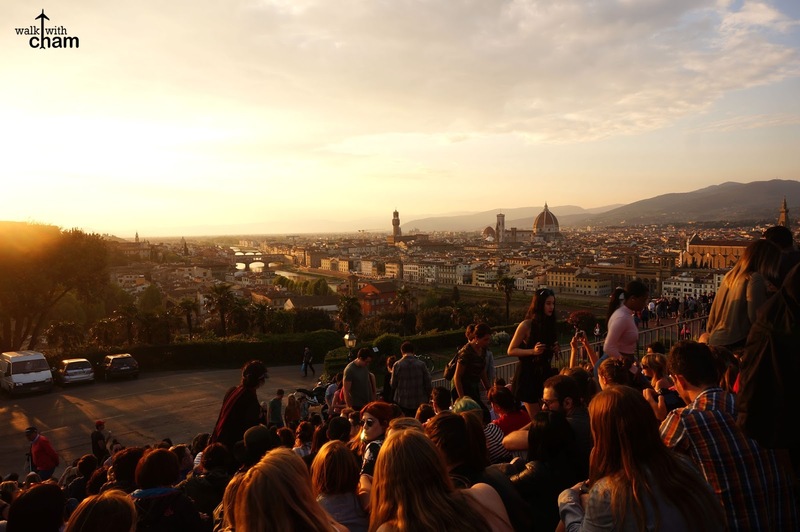 For another stunning panoramic view of Florence, go up the Piazza Michelangelo as it is one of the most popular lookouts in the city. 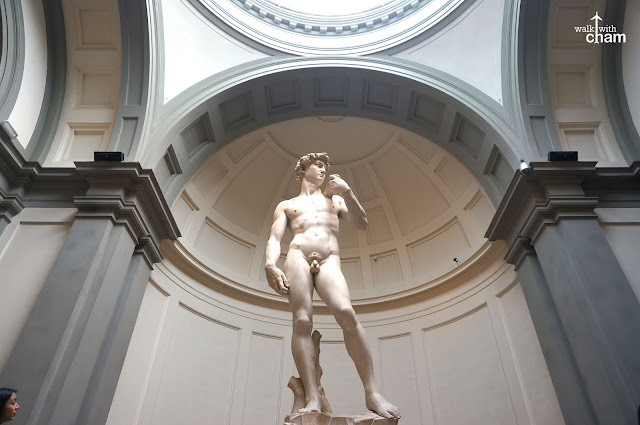 It is a bit far from the center but there are options on how to reach it. 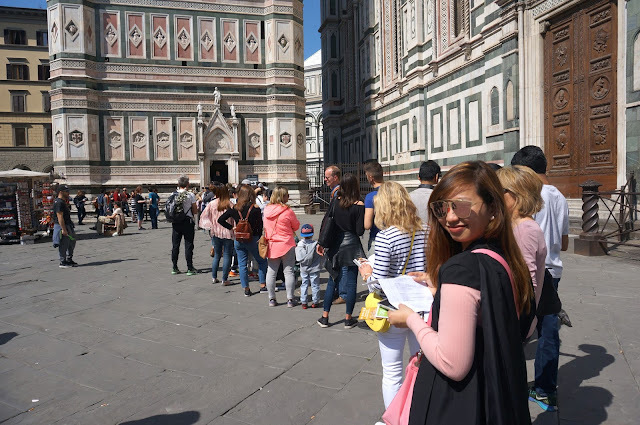 Taxi | This was what we opted to use as we were so tired from all the walking we had (we endured the 414 steps at the campanile) Paid €8 euros for a one way trip of 4 persons which was not really bad. 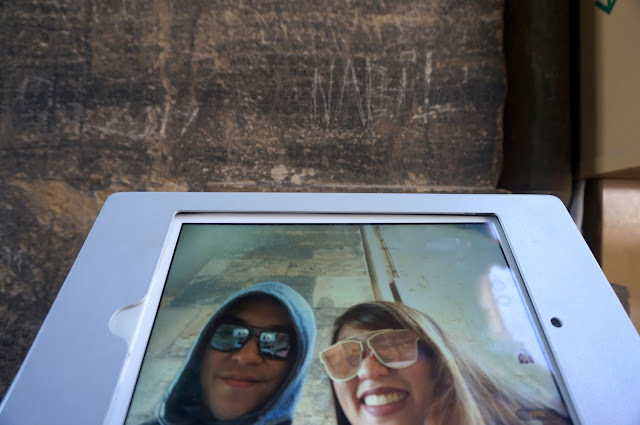 We took a bus going down though. 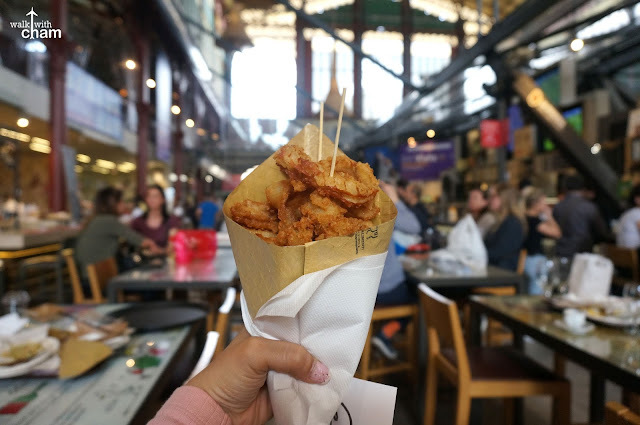 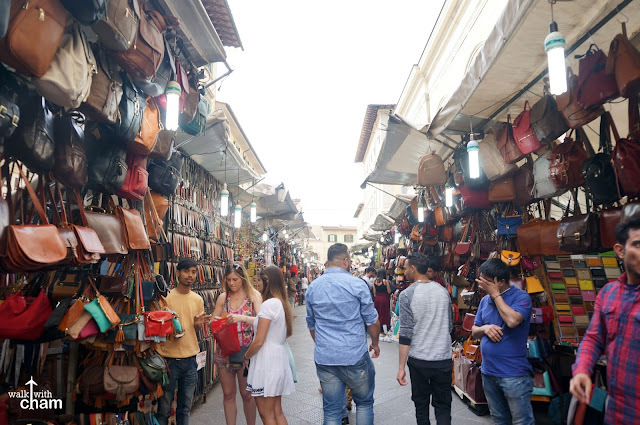 San Lorenzo Market is divided into two categories, one is Mercato Central which is a two level indoor food market and the other one is an outdoor market selling all kinds of leather items, souvenirs and clothing. 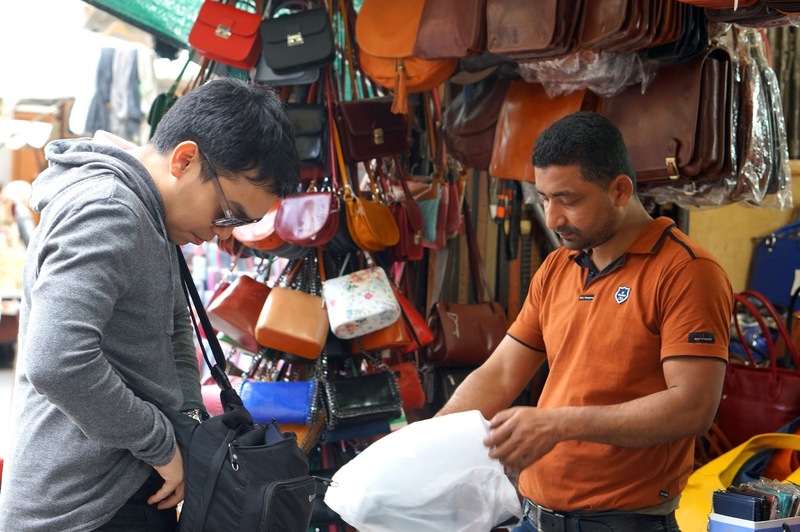 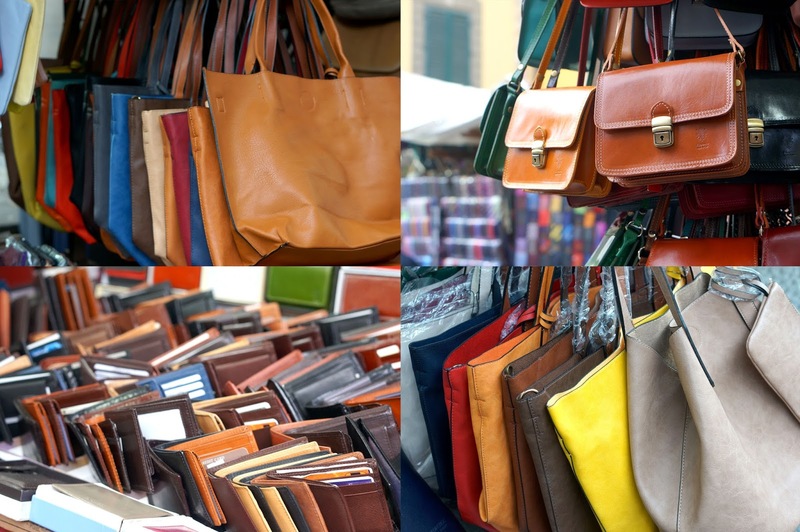 Since Italy is well known for its authentic leather goods we didn't pass the chance of visiting this market. We even bought leather items for me and for our mothers. 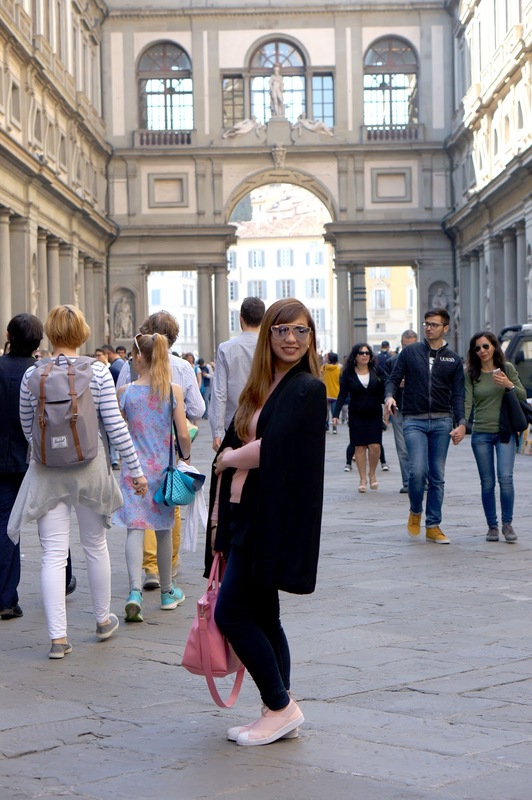 Any kind of shopping is fun! 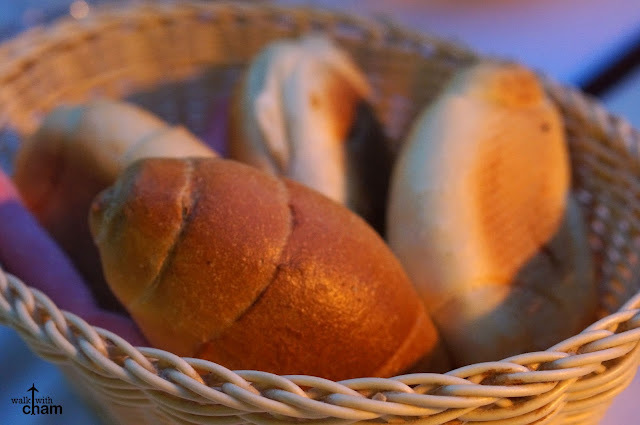 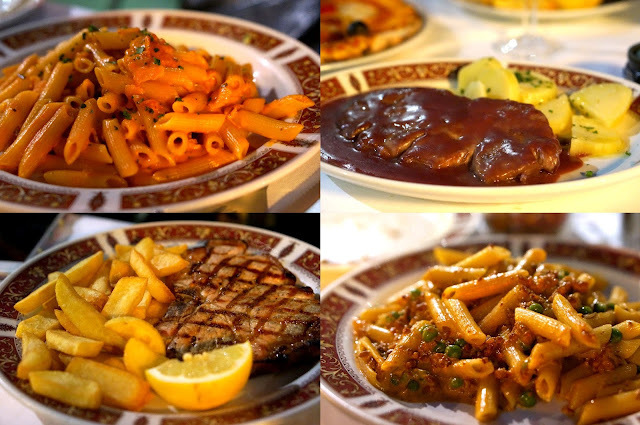 Italian cuisine is known worldwide but in each city there is a specialty cuisine. 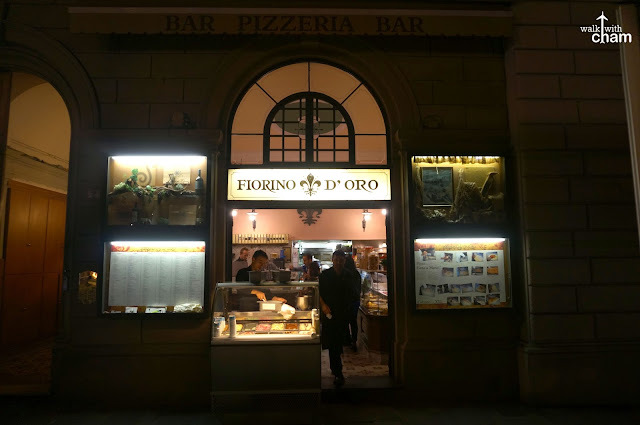 In Florence steaks are also a speciality especially the Bistecca alla Fiorentina. 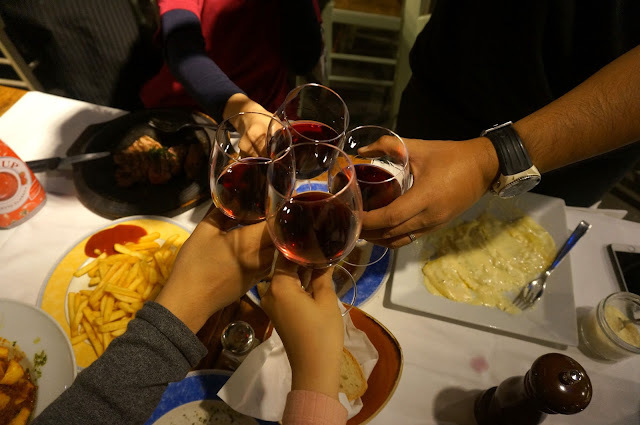 We tried ordering steaks, pasta and Chianti wine. 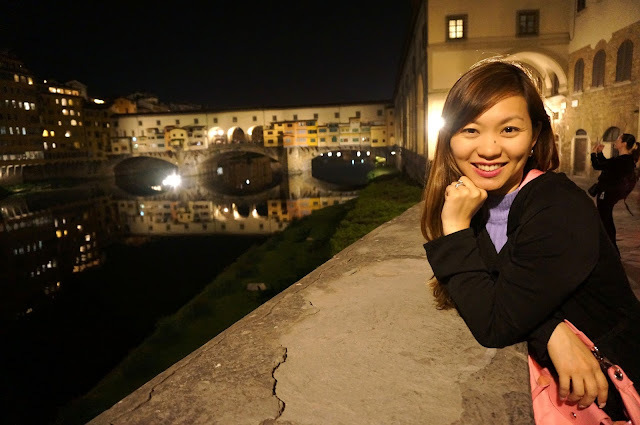 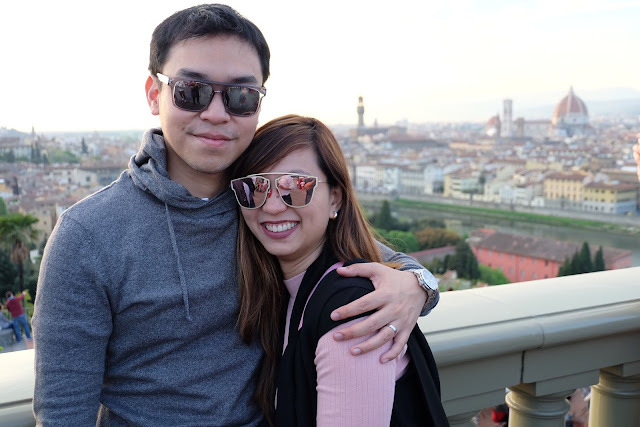 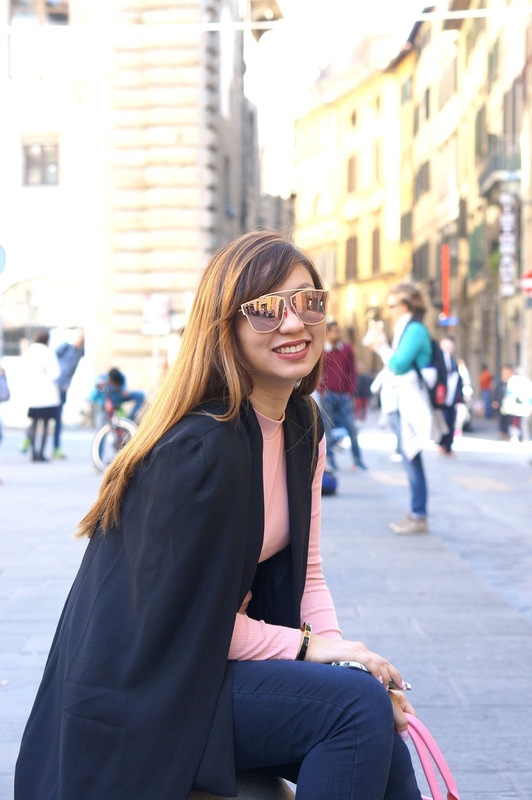 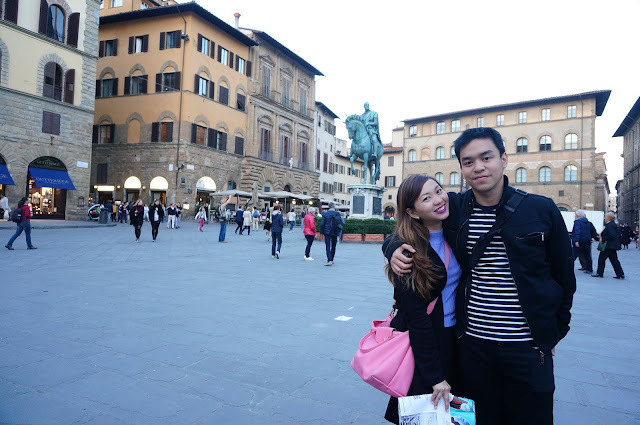 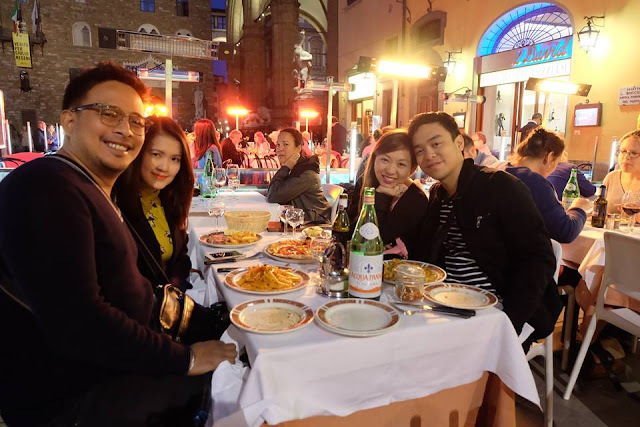 We had our first Florentine meal in Piazza della Signoria just beside the famous Palazzo Vecchio. 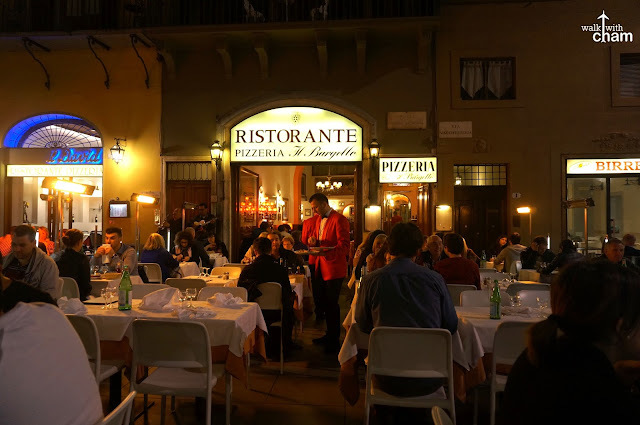 Ristorante Il Bargello is an old favorite restaurant that serves special dishes in typical Florentine style. 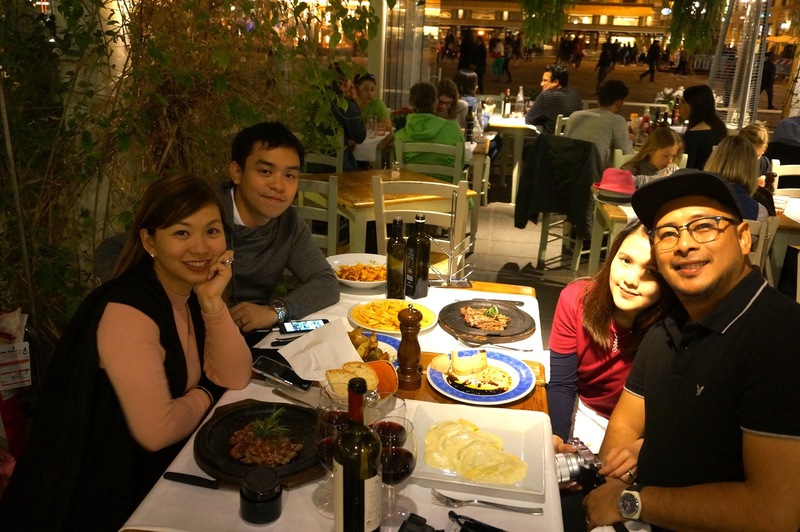 Eating steak was a good break from all the pasta and pizza we had during the past days we were in Venice. 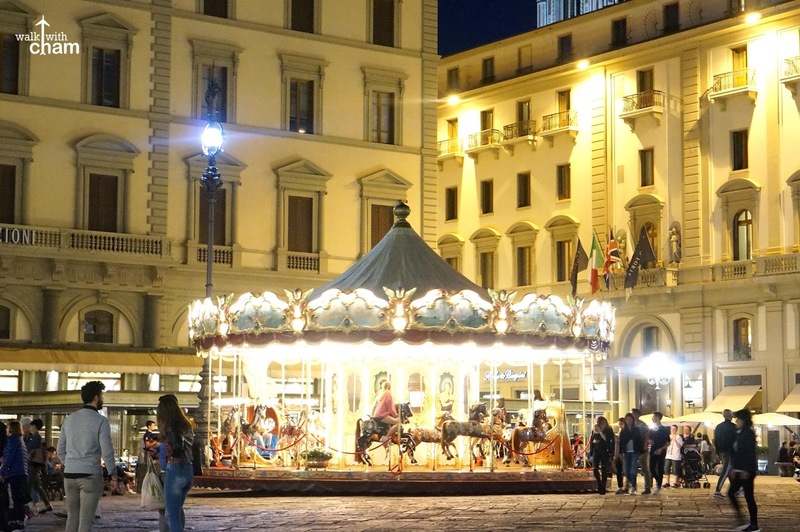 Located at Piazza della Repubblica, this restaurant caught our attention because of its lovely interiors. 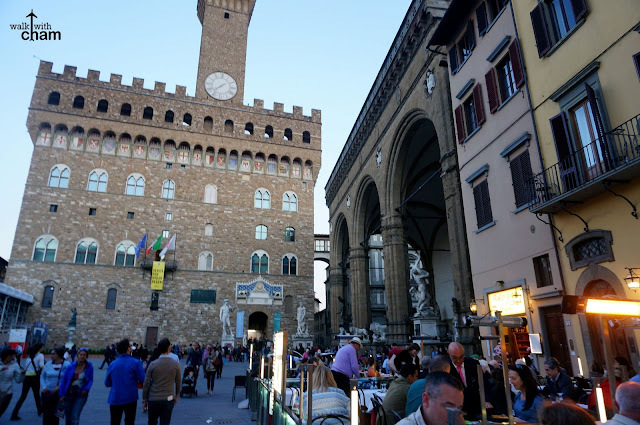 Because it was our last night in Florence, we didn't let this chance pass by not trying a Chianti wine. 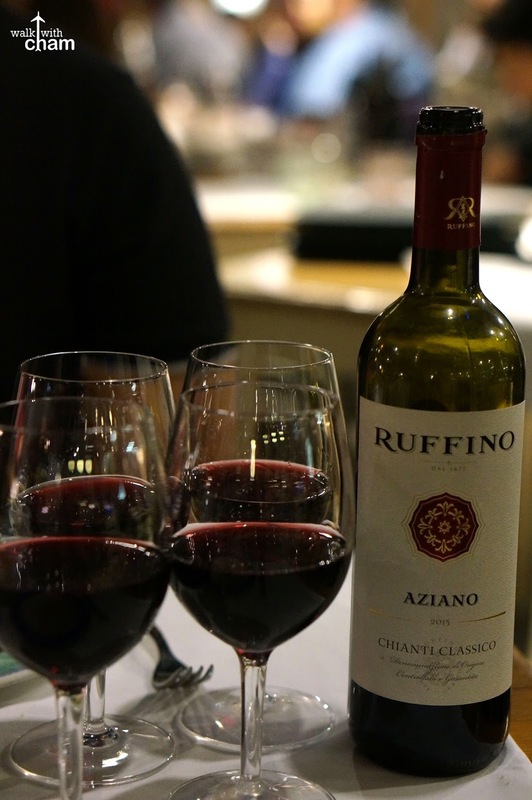 Chianti is said to be where the best wines are made. For a cheaper Italian meal option, go here. 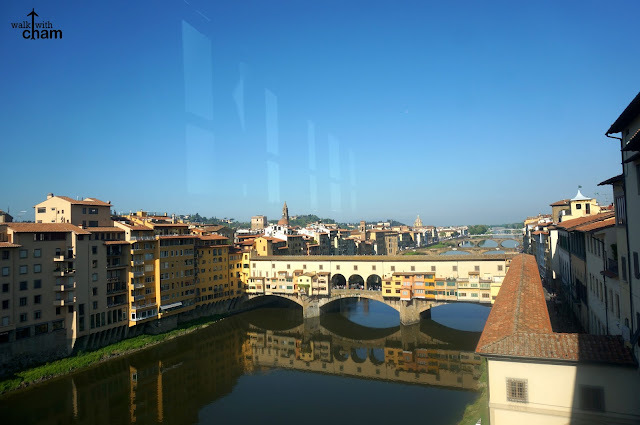 This was where we had our lunch. 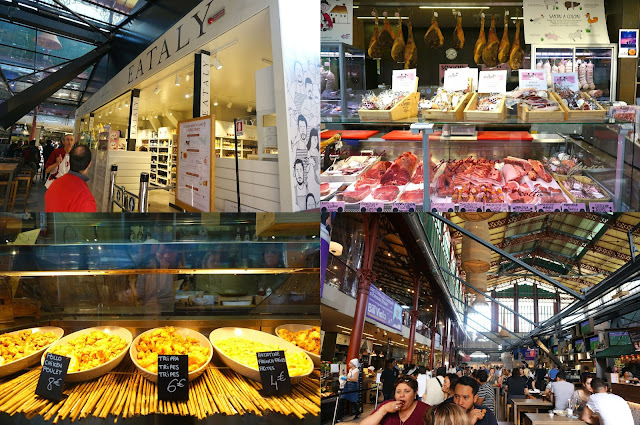 First floor is a traditional market that sells vegetables, fruits and meat. 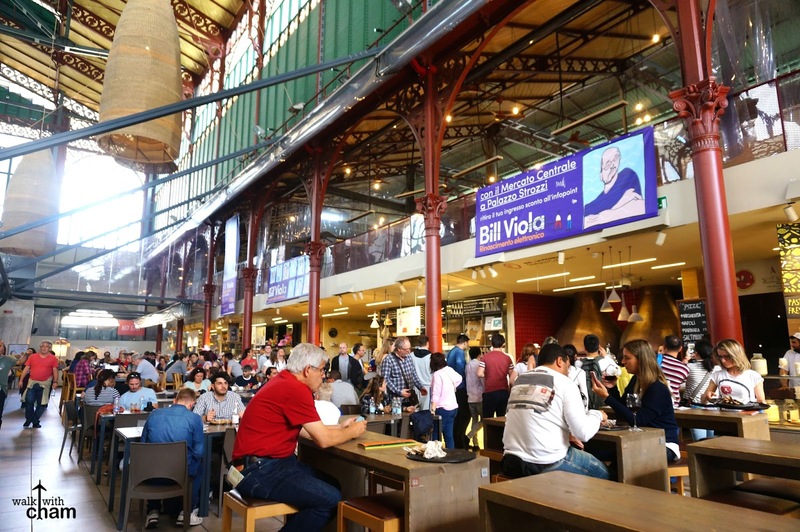 On the second level is a huge foodcourt with 500 seats and different food stands selling all sorts of Italian delicacies. It is said that gelato originated in Florence so eating a gelato or Italian ice cream is truly a MUST here. 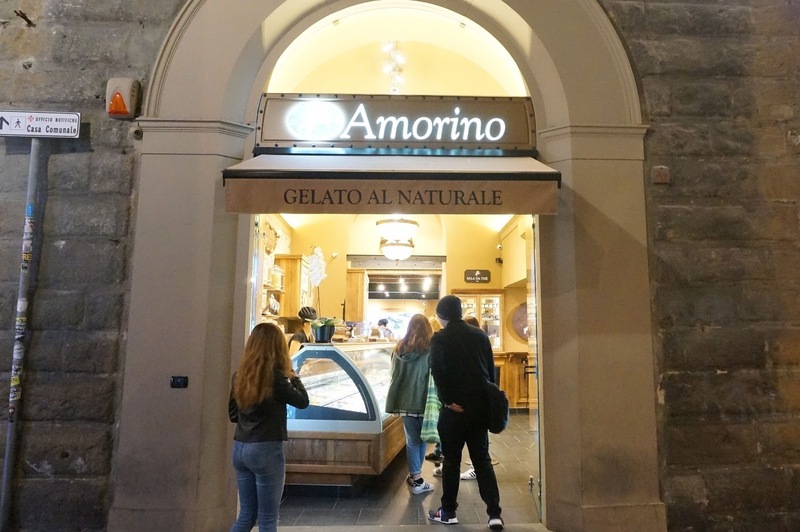 The best tasting gelato we tried here is a popular gelato chain called Amorino. 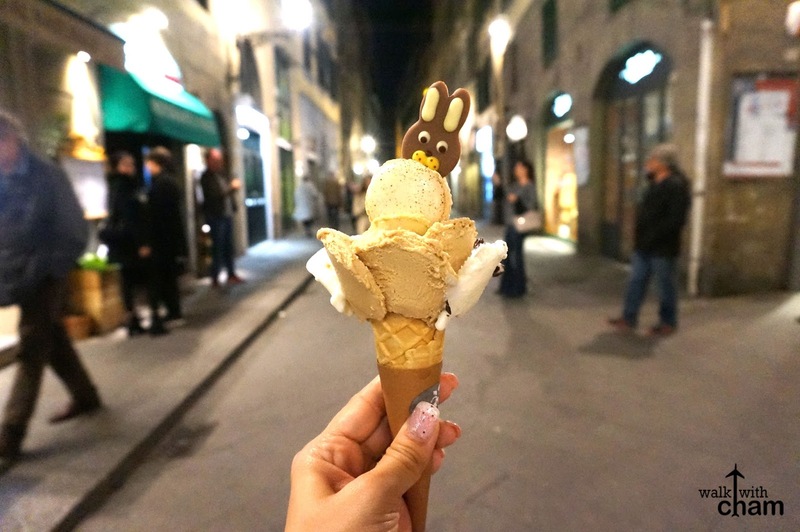 A gelato brand based in Orly but has numerous branches all over the world. We went here for two nights because we really love the creaminess and taste of their gelato. 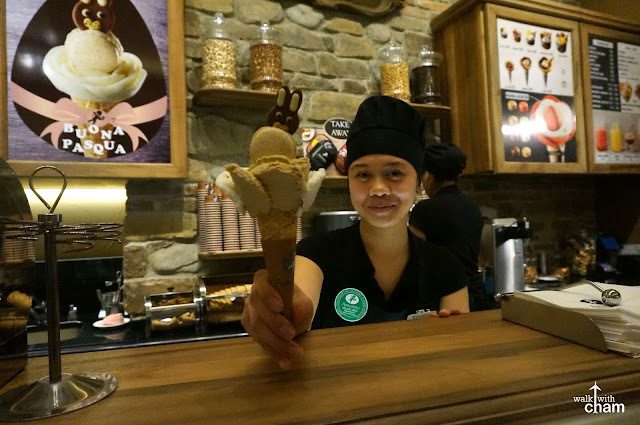 We even met a Pinay staff named Chanelle who helped us choose which gelato to order. 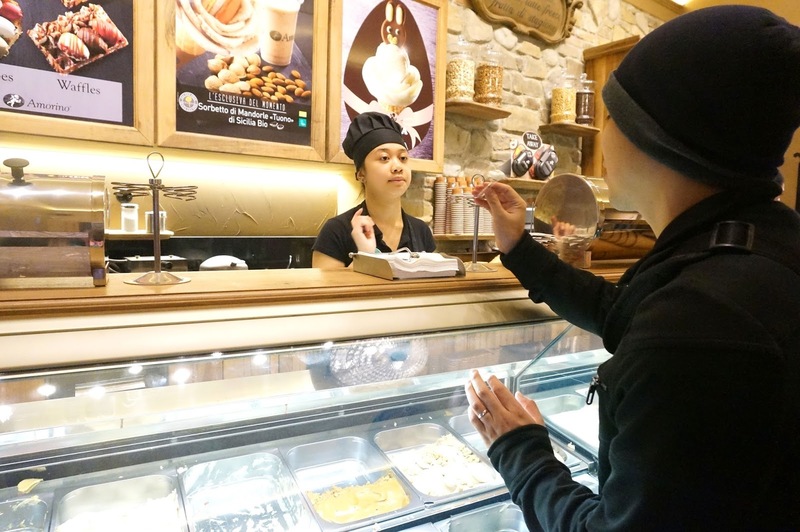 Even if you order a piccolo you can choose 3 different flavors, my faves are pistachio, salted caramel and stracciatella and I added a macaron of free chocolate easter bunny. 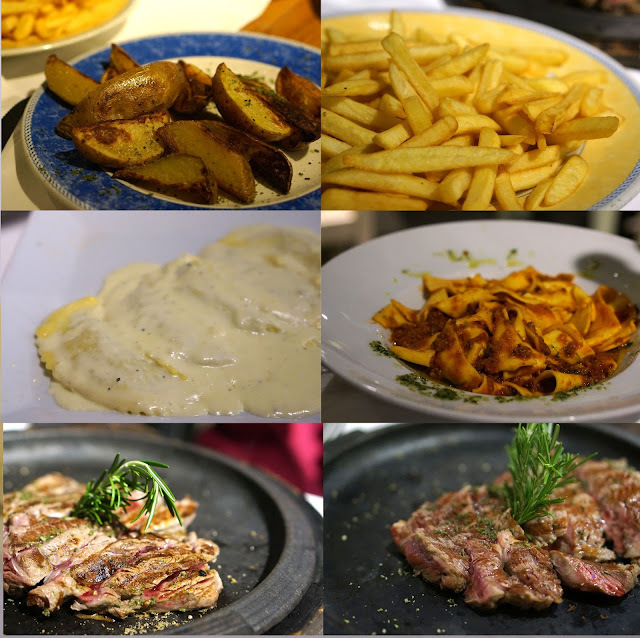 It was so GOOD!!! Best gelato with the best staff! 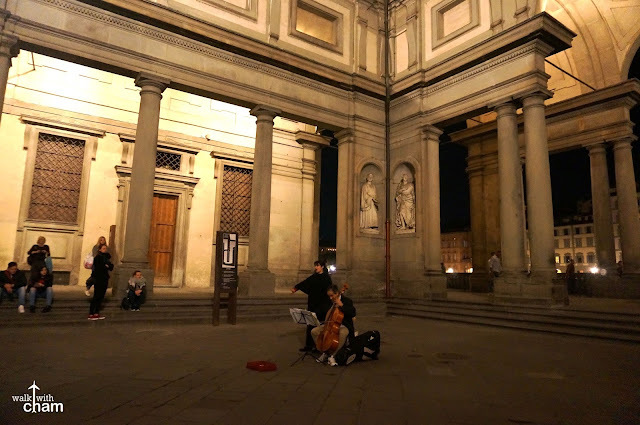 There are street performers everywhere you go in Europe - Florence being the city of arts is no exception. 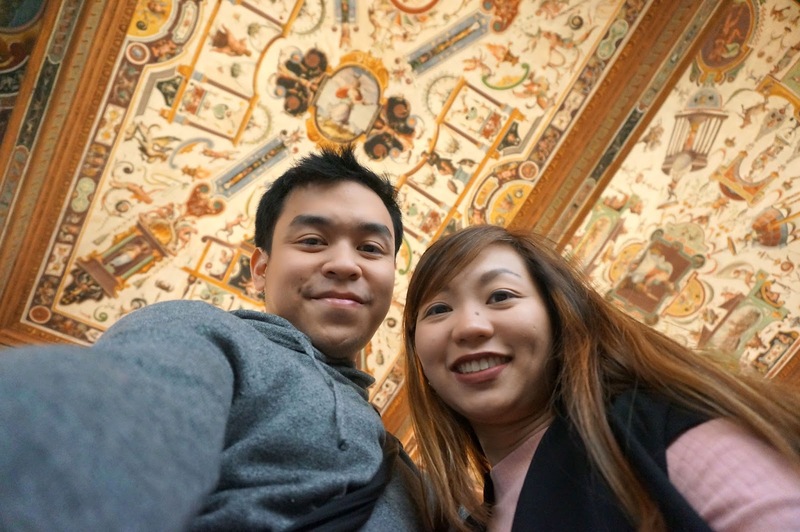 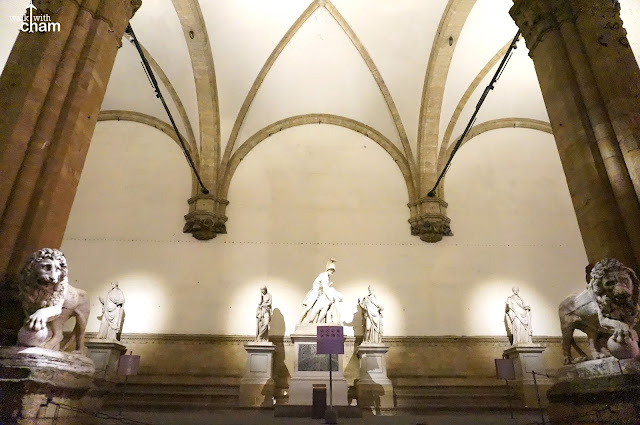 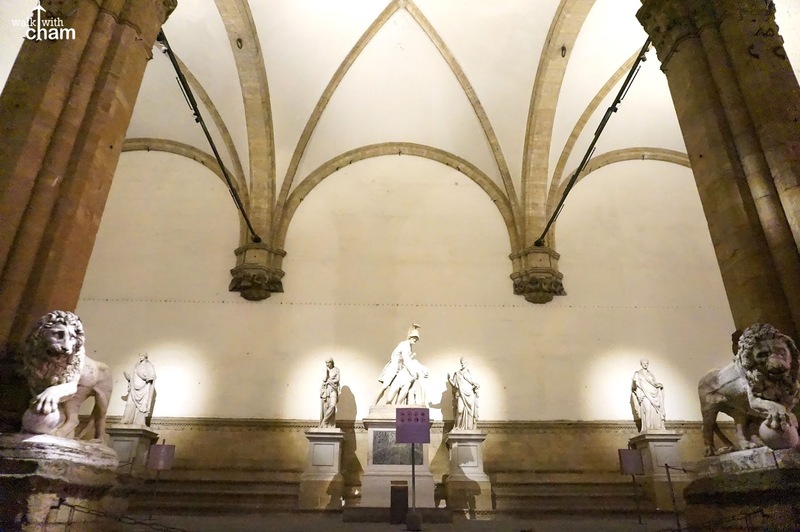 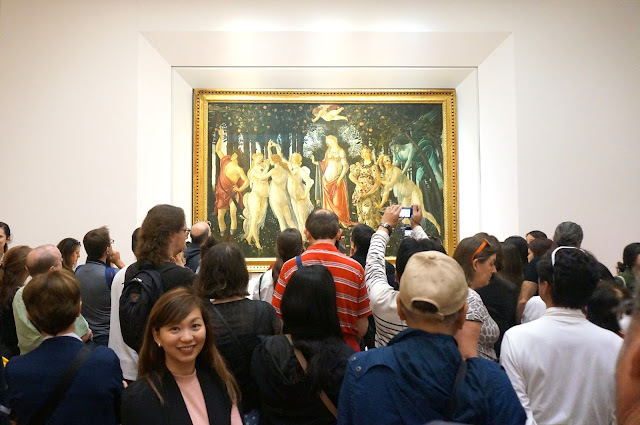 We were marveled by a particular opera singer and cello player performing at night at the Uffizi gallery. 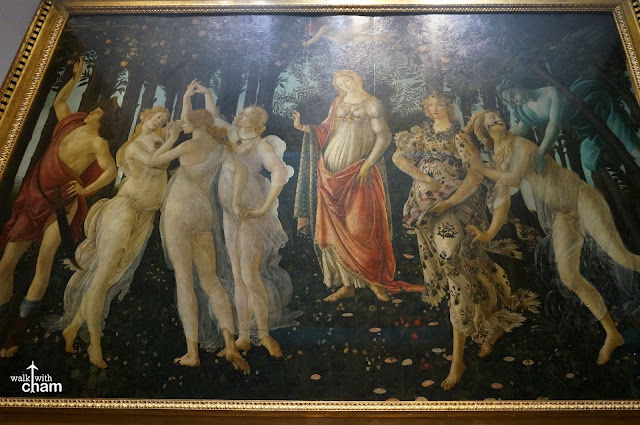 We stayed there while we listened and appreciated their pieces. Talk about a free opera show! 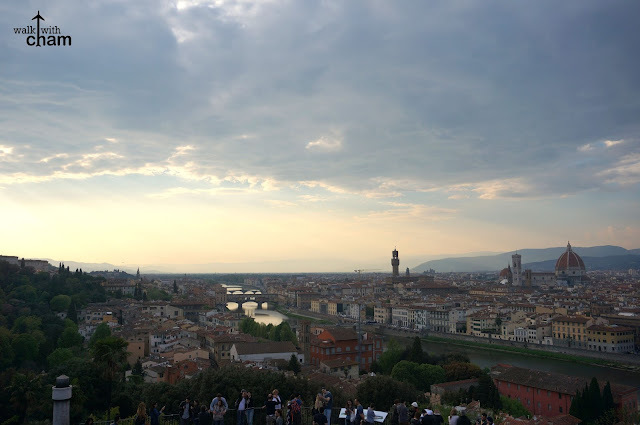 It was a very tiring and long 1 and 1/2 days in Florence but we accomplished a lot because of careful planning and the proximity of all the attractions it offered. 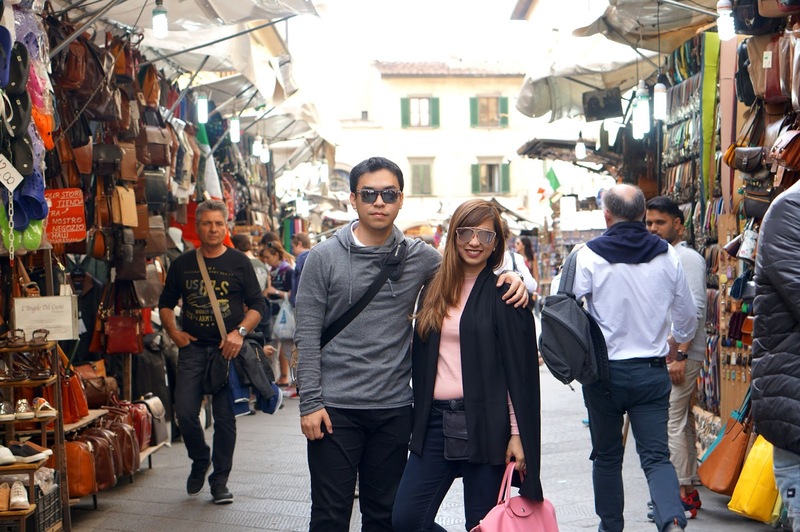 After Florence we went to Pisa for a half day tour and ended our Italy trip to Rome where we spent 2 full days. 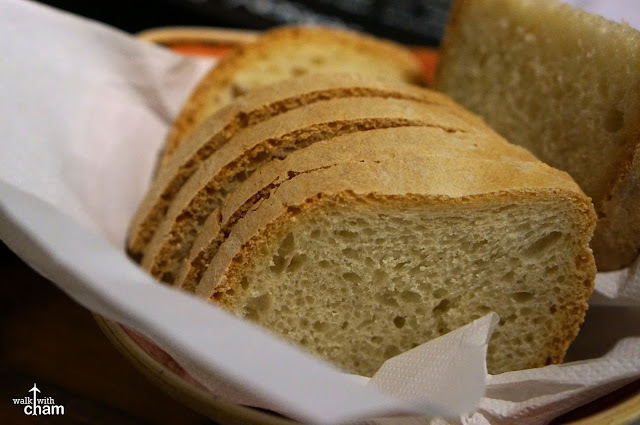 Next on the blog.